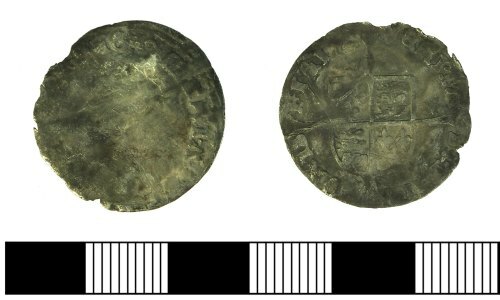 Silver groat of Queen Mary (1553-1554). Obverse: crowned bust left, MARIA D G ANG FRA Z HIB REGINA. Reverse: long cross fourchee over royal shield, VERITAS TEMPORIS FILIA. As North 1960, Spink 2492.